As I've said countless times, I've really tried to stay away from all of the expansion stuff. I'm not aloof to all of the talk/rumors out there, but frankly, I don't have to time to cover all of them. 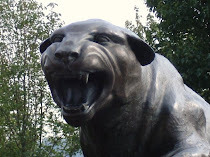 Chas over at Pitt Blather has been doing a great job with it, so head over there and have at it if you want all the latest on rumors and speculation. 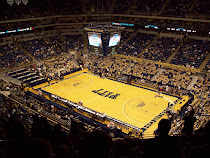 However, I will be checking in once actual things happen or when there are some direct rumors directly regarding Pitt. "This is an historic moment for the conference, as the Pac-10 is poised for tremendous growth," commissioner Larry Scott said in a statement. "The University of Colorado is a great fit for the conference both academically and athletically and we are incredibly excited to welcome Colorado to the Pac-10." I have to admit to being taken aback by the Pac-10 stuff that started a couple of weeks or so ago. For so long, only the Big Ten was being discussed seriously and now, out of the blue, the entire landscape of college football is being changed. With Nebraska reportedly headed to the Big Ten, the Pac-10 is poised to extend offers to six current Big 12 members, ramping up its numbers to 16. Pac-10 officials declined to talk about the deal on the record because of the sensative nature of negotiations, but one with knowledge of the plan said, "It's locked and loaded." Joining the Pac-10 in 2012 would be Oklahoma, Texas, Texas A&M, Texas Tech, Oklahoma State and Colorado. The new Pac-16 would divide into divisions, with the original Pac-8 schools aligned in one division and Arizona and Arizona State joining the six Big 12 schools in the other division. So it sounds like essentially there would be a Pac-10 West and Pac-10 East and they would play teams mostly (if not completely) within their division. That of course begs the question, would we see conference remnants align themselves together to create a large divisional conference - say a retooled Big East and a retooled Big 12? I don't know - that's likely a reach. All of the talk out there is that even the Big 12 is already conceding that losing Nebraska would likely mean the end of the conference. Still, I think it's an option for conferences that may get swallowed up. What's to say there couldn't be a new conference combining the Big 12 (with some lesser schools in the midwest/west) and the Big East (with some lesser schools like East Carolina, Marshall, etc). Not likely, again, just thoughts. This is exactly why I haven't been posting on this. Things are far from settled and likely won't be for at least a little while longer. Anson - I like the new layout. The text is crisp and easy to read early in the morning (a prime consideration for me). Even though you started this as a part time hobby - you've done well with it and it is fun to read & comment. A word of advice... there are a lot of other Blogs that report news - you reference them a lot especially Chas' Blather site - so I suggest that you shy away from just rehashing what is already reported elsewhere and inject more of your own opinions/impressions/humor into what is being discussed in the PITT sport's world. That is what makes these singular Blogs unique - the owner's informed POV. I think your best stuff is when you make it personal with how you view the situation and discuss what you think was right/wrong or should have happened. Especially during the football season when you are discussing PITT's results. Thanks for your efforts and I'll keep visiting. Good work! Thanks for making the jump, Reed and for your words of wisdom. This is something we completely agree upon. Working a full-time job outside of this, I don't consider this blog to be a news source. Sometimes it turns into that as time contraints lead me to very short comments on minor issues or sometimes (or in some cases of very minor stuff, no commenting at all). But I try to stay away from that because most blogs aren't actual news sources. Most are for commenting on actual news and I think sometimes the line gets a little blurred. Thanks for sticking around and hopefully this site will entertain at least a few folks.